Call (718)505-8080 for an appointment! Woodside Pet Hospital Welcomes you to our Website! We a well established animal hospital in Queens, New York City providing comprehensive healthcare services to pets in Woodside, Maspeth, Middle Village, Jackson Heights, Rego Park and the surrounding areas of Queens. We also welcome pet owners from Brooklyn, Manhattan and Staten Island. REFER A CLIENT REWARDS PROGRAM : We appreciate Your Referrals! Refer a Friend or Family Member to Us and get Rewards credit which can be used towards hospital services . Every Referral entitles you to a $10 in- Hospital Credit you can Redeem towards your pet's veterinary care . Please ask your friend or relative to mention the referral when they check in for proper credit to be issued to your existing account. At Woodside Pet Hospital we are committed to providing quality care at every stage of your pet's life. From routine preventive care for your pets to early detection and treatment of a wide range of conditions and diseases to surgical care, we have the expertise to provide the care your pet needs at every stage of life. Please browse our website to learn more about our animal hospital and the services we provide for companion animals in Woodside, Queens and the surrounding areas. Read information in our Pet Library, view videos, take a virtual tour of our veterinary hospital, read testimonials, and find details about upcoming events. Please call our office today at (718)505-8080 for all your pet health care needs. 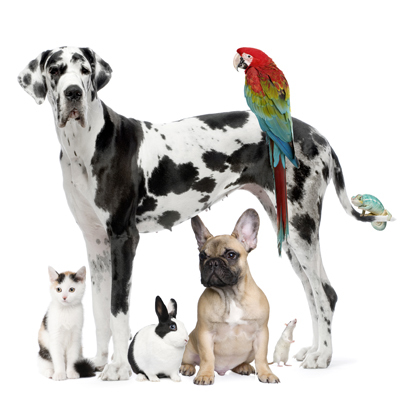 Disclaimer: Woodside Pet Hospital, PLLC is a sole entity not connected to any other veterinary practice. Any transactions entered into by individuals claiming to be connected to Woodside Pet Hospital, PLLC will not be honored.